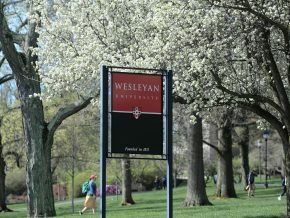 The Belichick Plaza, which houses Wesleyan’s Athletics Hall of Fame, is located at the Warren Street entrance of the Freeman Athletic Center. 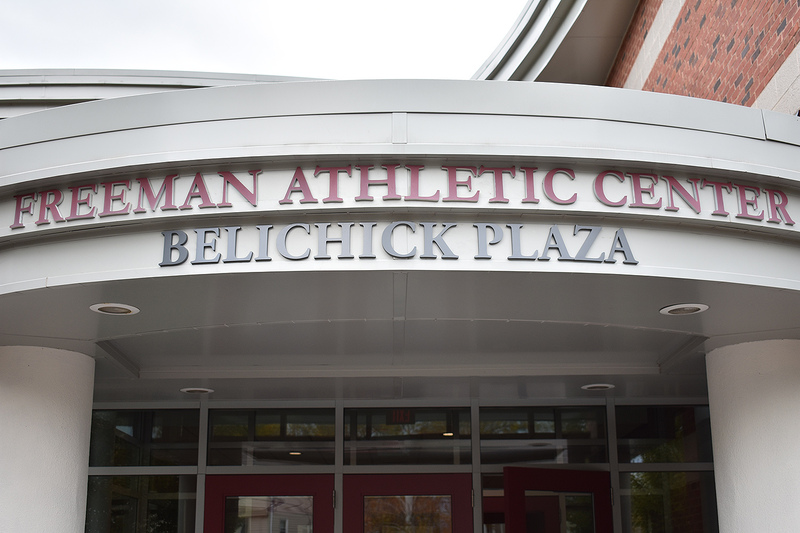 Belichick himself was named to the Athletics Hall of Fame in 2008. 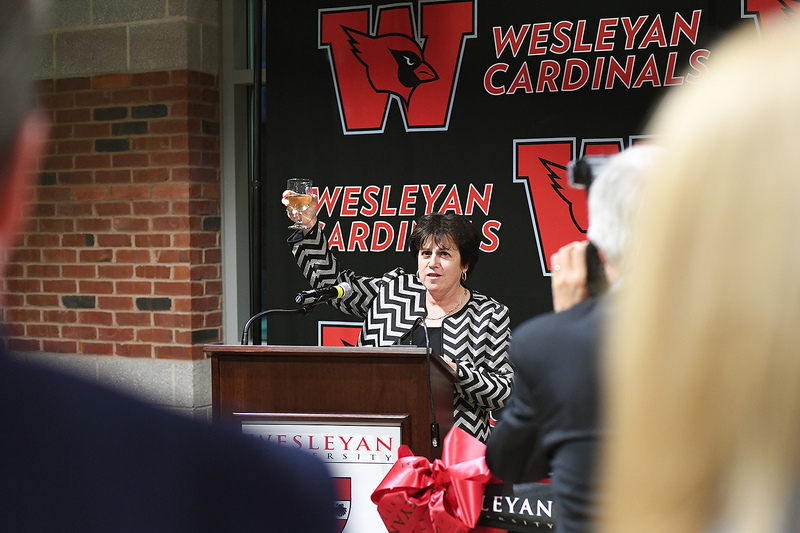 Donna Morea raised a toast to the Belichicks during the dedication of Belichick Plaza. 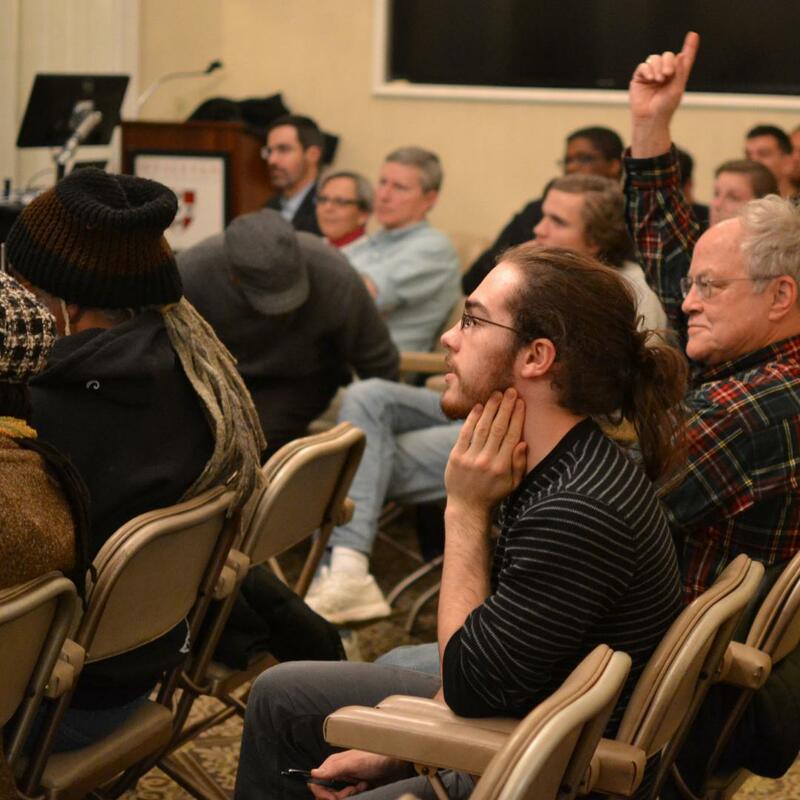 In her remarks, Morea noted that the Belichick name has become synonymous with excellence. 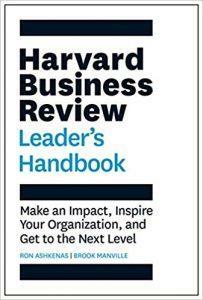 She thanked Amanda and Bill Belichick for their leadership, support and generosity. 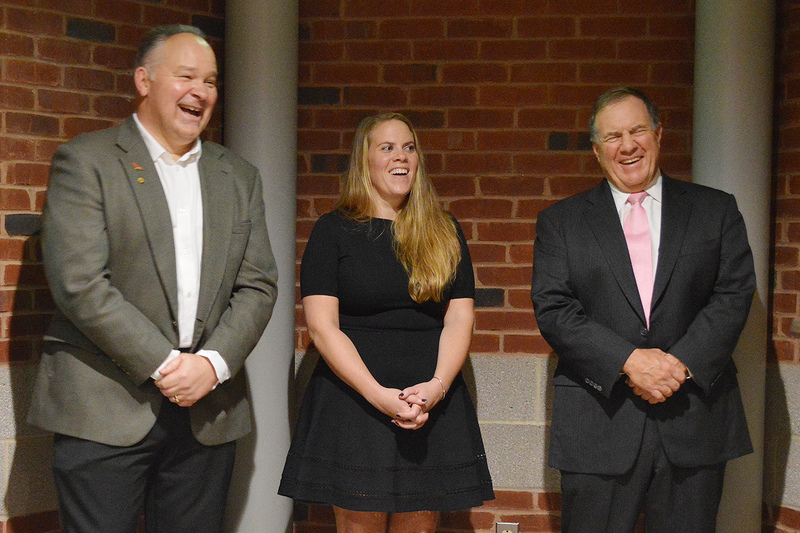 Mike Whalen, Amanda Belichick and Bill Belichick enjoy the reception. 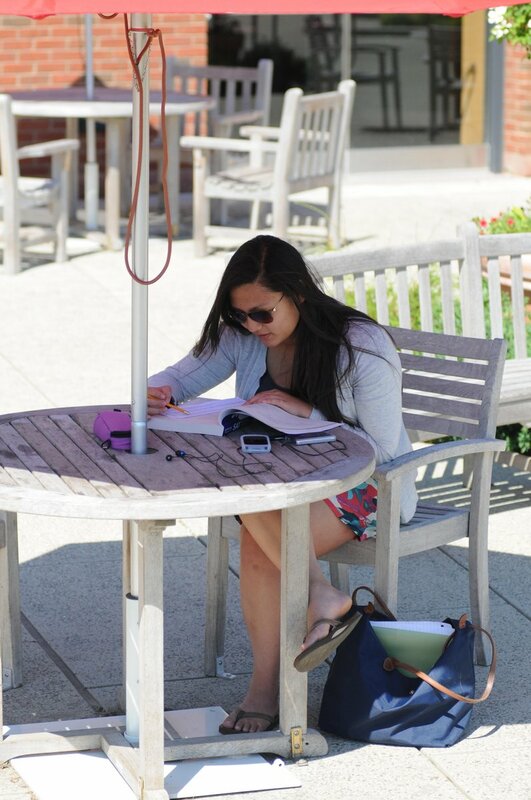 Amanda Belichick, a history major, was captain of the varsity lacrosse team while a student, and head coach of women’s lacrosse at Wesleyan from 2013-15, as well as adjunct assistant professor of physical education. She’s currently head coach of the women’s lacrosse team at the College of the Holy Cross in Worcester, Mass. 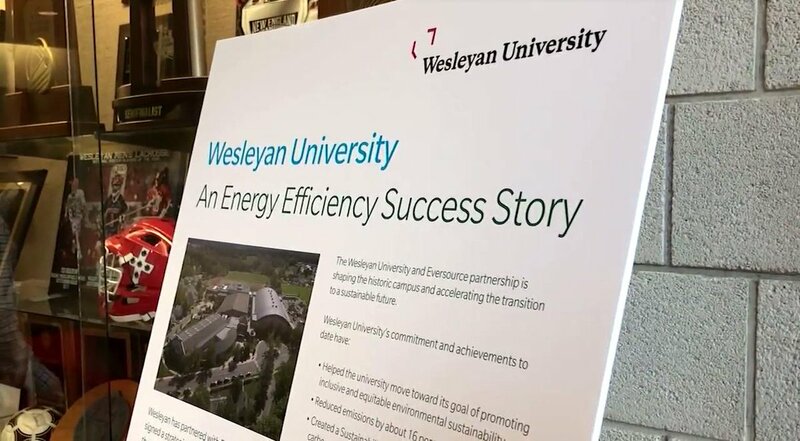 Bill Belichick has received both an honorary doctorate from Wesleyan as well as the university’s Baldwin Medal, the highest honor awarded an alumnus for distinguished achievement. 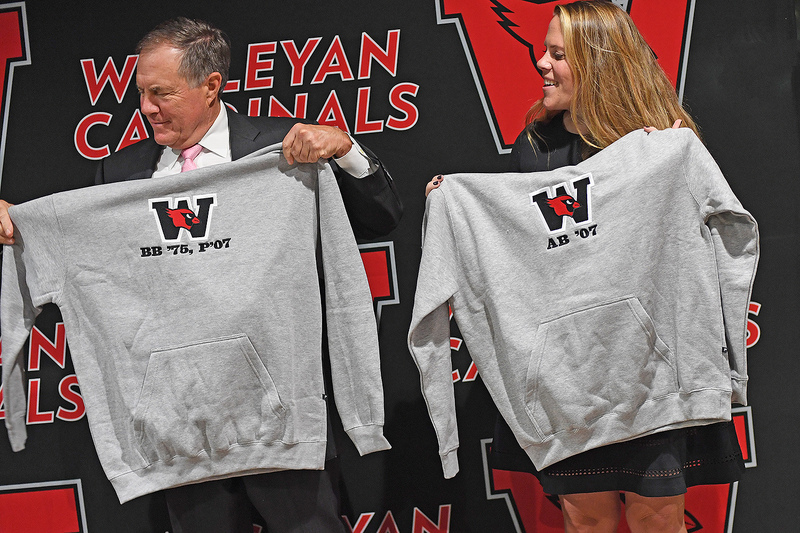 Whalen presented personalized sweatshirts to Bill and Amanda Belichick. After opening the gifts, Whalen sliced the sleeves off the new sweatshirt. 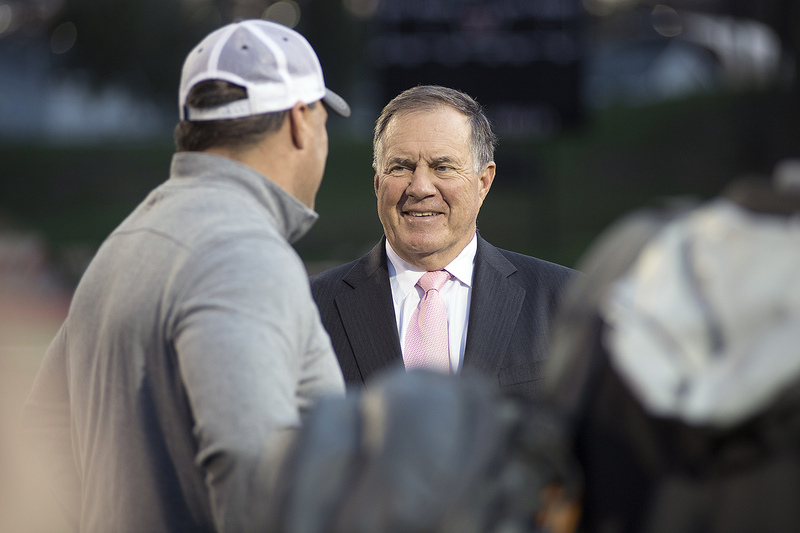 Belichick is known for frequently wearing gray, sleeveless hoodies on the field. 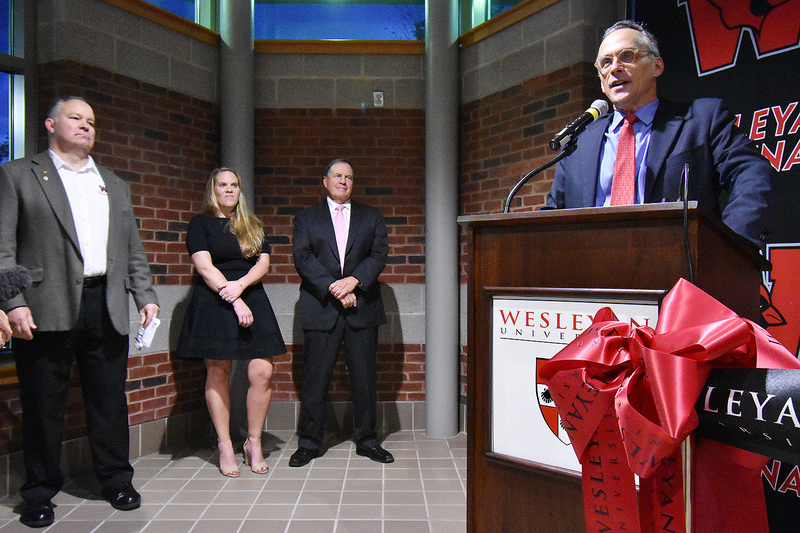 “We are now going to have a significant part of our teaching space named after the Belichick family, and every day when our student athletes come in through those doors and see that name, they’ll think of excellence, and that’s what we’re building here,” Whalen said. 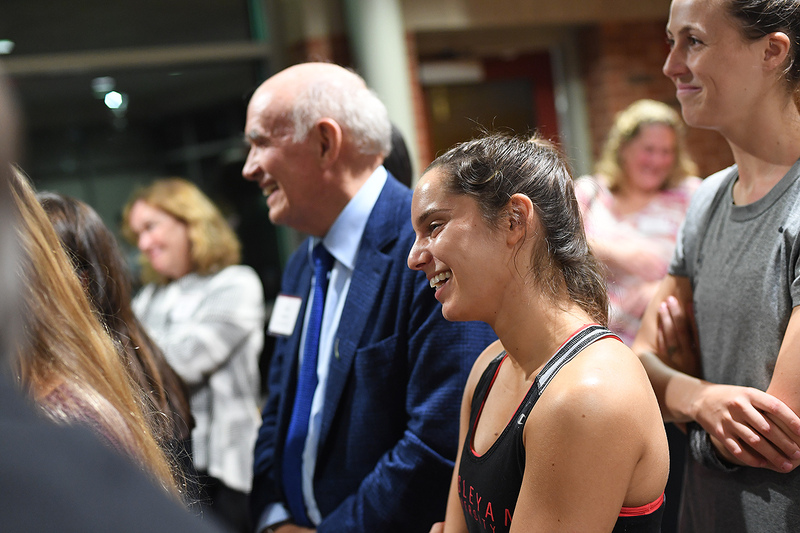 Several alumni and student athletes attended the ribbon-cutting ceremony. 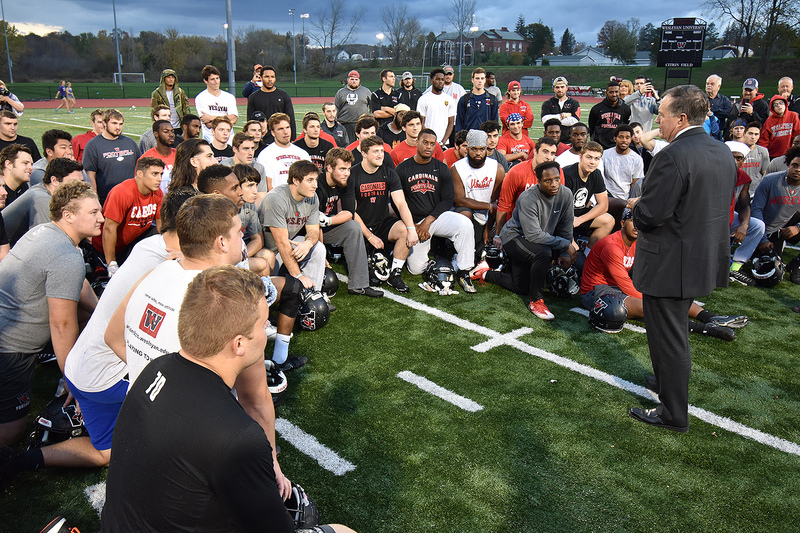 Prior to the Belichick Plaza dedication, Bill Belichick made a surprise visit to the Wesleyan football team. 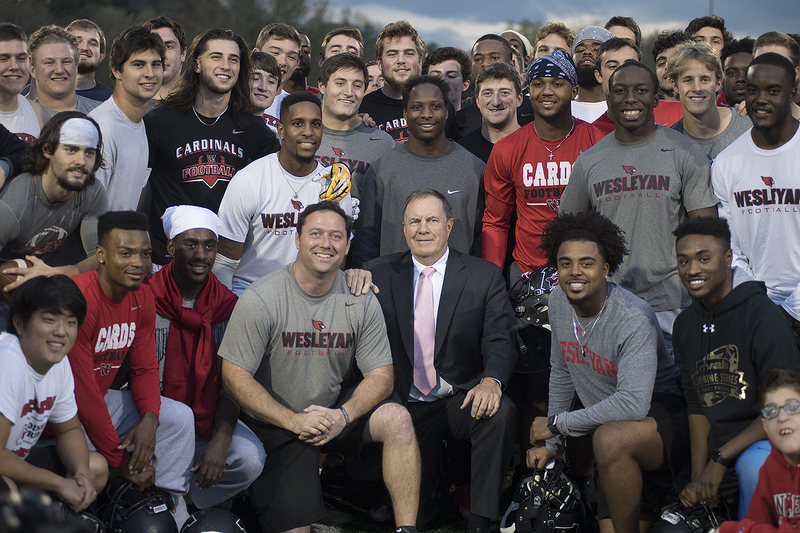 Belichick posed for photos with Head Coach Dan DiCenzo and the Wesleyan football team. “I heard you had a good week; really try to focus on your job tomorrow, taking care of your responsibilities,” Belichick said. 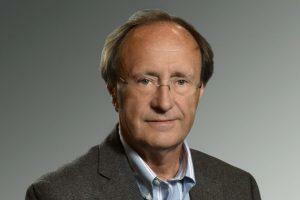 “Go out there and play aggressively. 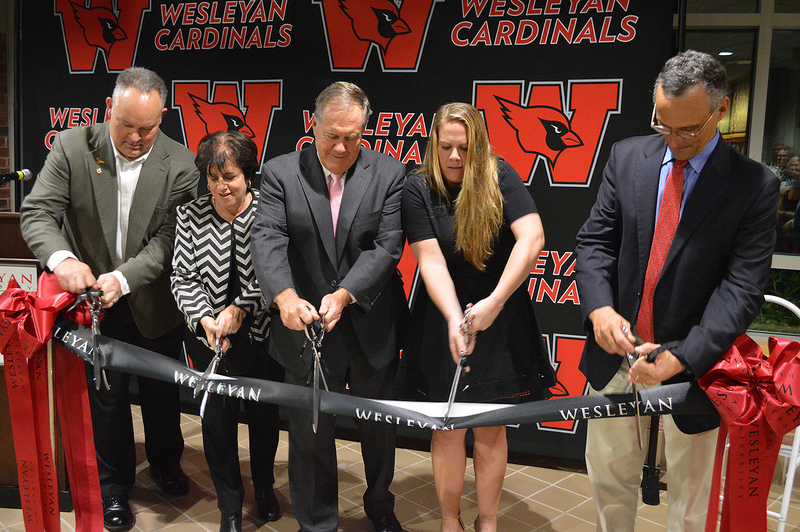 It’s a great rivalry, a great part of college football, and I’m glad I had the opportunity to participate.” The following day, the Wesleyan Cardinals defeated Williams 35-0 during their homecoming game. 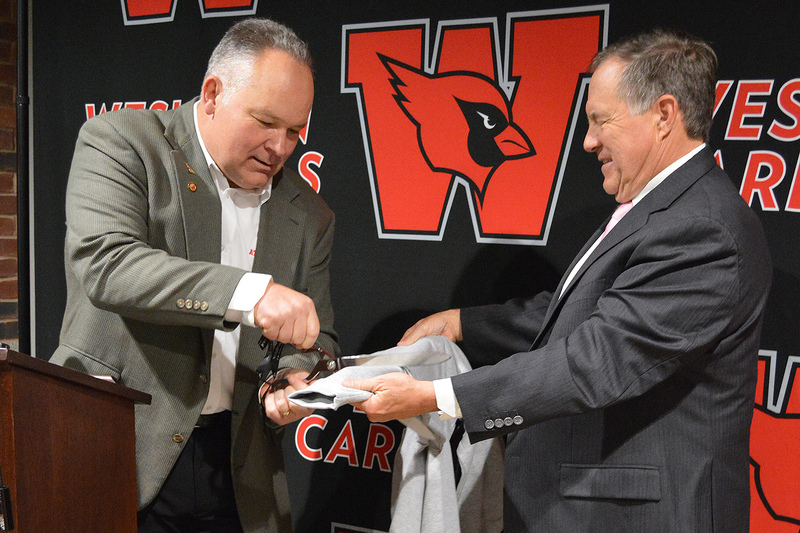 Belichick meets Men’s Lacrosse Head Coach John Raba. 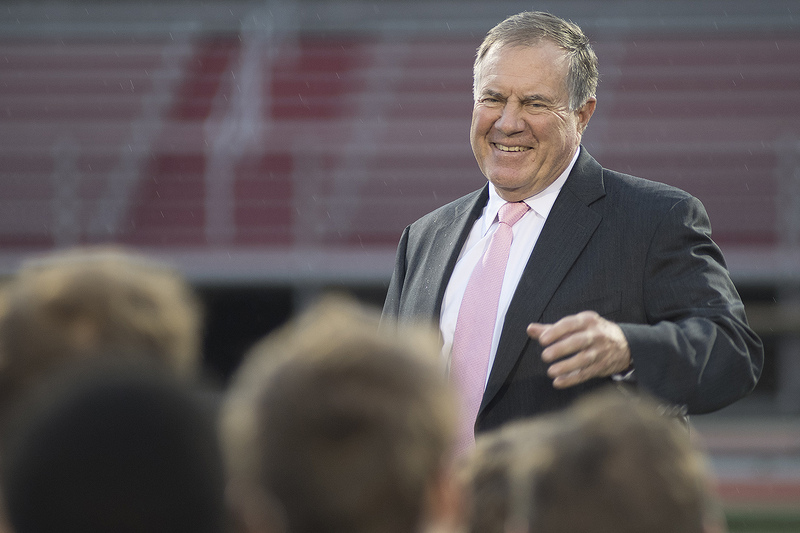 When Belichick was a student, he played football, lacrosse and squash. He majored in economics and was a member of Chi Psi.